While veteran Norwegian rock band TNT has been out and about in the music scene for better than 35 years, I haven't heard much about or from them in some time. My last experience with the band was 2000's My Religion. That album was a corker and stayed in constant rotation in my play list for several months. (2011's A Farewell To Arms was reviewed at Dangerdog Music Reviews, but not by me.) 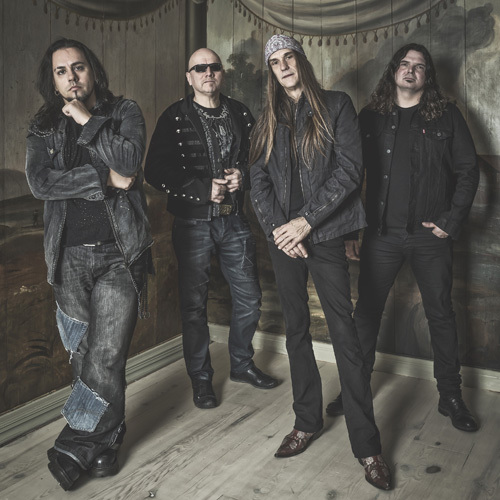 Now, with original members, guitarist Ronni Le Tekro and drummer Diesel Dahl, TNT returns with their thirteenth studio album, aptly titled XIII. The album features new vocalist Baol Bardot Bulsara from Spain. Listening to XIII, this was not what I expected from TNT. When I think of TNT, I think classic Eighties melodic hard rock, maybe with some metal edge to it. Yet, Tekro and TNT have been known to think outside the box on occasion. The tunes within this album could be described as melodic rock with AOR accessibility and some pop music quirkiness, with Tekro's novel and spry guitar work self-evident throughout. If there are any songs veering to the hard and heavy, it's likely Fair Warning, Get Ready For Some Hard Rock, and People Come Together. All have sharp riffs over a deep bottom end, and the the last song has a razor sharp metal guitar solo. A runner up could be the closing Sunshine, a song that starts gently only to open up to something stronger, including some more fierce Tekro guitar work. Other songs like We're Gonna Make It, It's Electric, or Catch A Wave sounded more "pop" melodic rock thanks to the novel mixture of beat, rhythm, and groove in each. But that's just my opinion. It doesn't make them bad, simply different. Well, the whole album is different and unexpected. 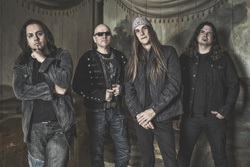 Perhaps the single sense of normalcy comes with Where You Belong, a terrific ballad in the best classic melodic rock character, and Baol Bardot Bulsara sounds amazing. 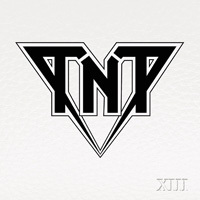 In the end, I liked TNT's XIII, enjoying their novel and different approach to melodic rock. Recommended. In the end, I liked TNT's XIII, enjoying their novel and different approach to melodic rock. Recommended.